In football (soccer), it's common to see players cheat during set pieces; the defensive wall and the opposing kick taker usually move forward from the spot set by the referee to get a better position. Officials at the World Cup in Brazil are putting a stop to this with an ingenious invention by Argentinean journalist, Pablo C. Silva, who decided to put an end to the insanity after losing a match at a local league in which he blamed the loss on the cheating defensive wall during a crucial free kick. 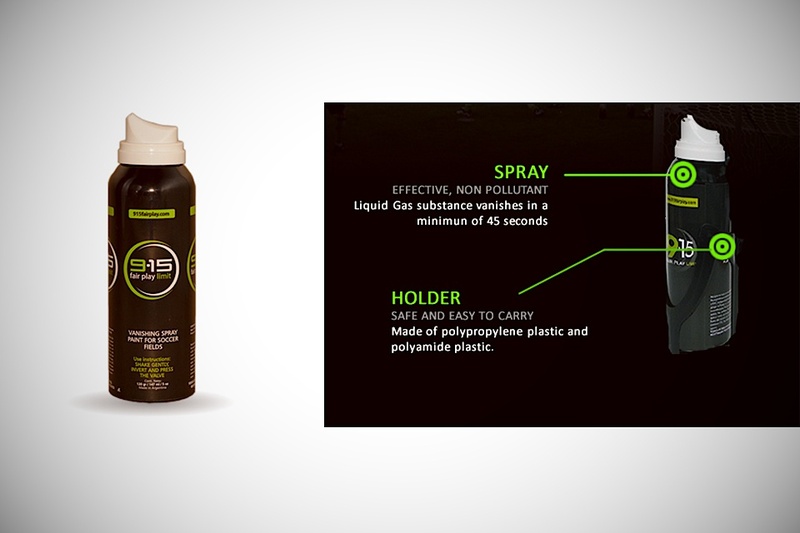 The 915 Fair Play Limit is a foamy spray that's clearly visible on the field but disappears in less than a minute - enough time for a set piece.